ANDOVER -- BC High defeated the host Warriors 34-7, behind a standout performance from running back Danny Abraham '18. 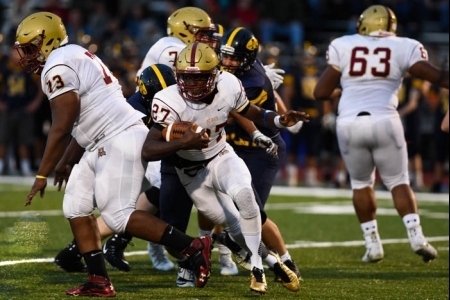 Abraham rushed for over 260 yards and four touchdowns, while fellow 2017 Preseason Super Team members Will Bowen '18 and Bobby Demeo '18, along with the BC High Line and D also stood tall. 2017 Preseason Super Team starting WR Cedric Gillette '18 shined in the loss for Andover.